This leather crossbody travel bag is designed for globetrotters everywhere. 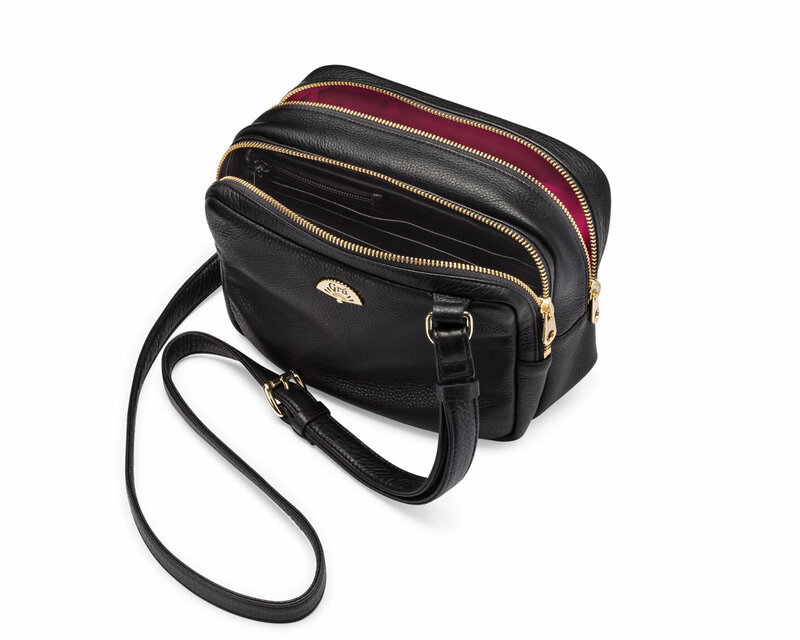 Luxurious and functional, the Taisteal features an array of convenient compartments for your travel essentials, including a built-in wallet to shield credits cards and passport. An adjustable crossbody strap gives you the option for hands-free carrying. Made of premium genuine pebbled cowhide leather, this purse will keep every travel document organized in one compartment, allowing you to carry phone, e-reader, sunglasses and more in the spacious second compartment.